Not all course options are offered every year. 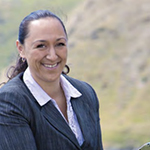 Join the only degree in New Zealand that will give you specific skills in Māori agribusiness. This major will provide you with the understanding and skills to work in, or with, Māori agribusiness. You will learn about the land and natural resources, business and culture in a Māori context. Particular emphasis will be placed on the concepts of land and resource utility, kaitiakitanga and the relationship of these kaupapa Māori-based systems to the present day. You will graduate with an understanding of Māori resource issues and the relevance of Te Tiriti o Waitangi to Māori agribusiness and present day legislation. Your learning will also examine Māori agribusiness policy, the roles and responsibilities of policy agencies in relation to Māori and alternative policy approaches to achieving Māori-driven outcomes. There is a huge opportunity to develop Māori land (1.5 million hectares) and build businesses in industries such as energy, fisheries, tourism and food and beverage. This qualification will teach you about Māori cultural identity concepts such as manaakitanga (hospitality), and kaitiakitanga (to protect). These are integrated aspects to a Māori business, vital to understand if you are to work in these businesses. If you are coming from a whanau perspective, you will build on your cultural identity to develop skills in self-directed learning, communication and best agribusiness practice. Part of this qualification is exploring Māori agribusiness through a series of case studies in the field. You will gain experience in analysis and decision making in the context of a real-world business. This gives you an advantage with potential employers and ensures you can bring relevant learning back to your own situation. You will gain from the expertise of our world-leading lecturers and tutors. Our programmes in agribusiness combine our world-leading expertise in both business and agricultural-related areas. Massey graduates and staff are helping to define the future of our nation’s agriculture and food businesses. You will learn from the expertise of senior staff members in Massey’s College of Sciences, School of Māori Art, Knowledge and Education and the Massey Business School. Massey is world-ranked and New Zealand’s No 1 university in agriculture according to the QS (Quacquarelli Symonds) rankings. We are also ranked in the top 100 universities worldwide for agriculture by the ShanghaiRanking's Global Ranking of Academic Subjects. Our proud record dates back to 1927 when we offered New Zealand’s first degrees in agriculture and horticulture. Our Massey Business School is also world-ranked - it is among the top five per cent of business schools globally and is AACSB accredited with internationally-acclaimed economics and finance specialists. During your degree you will gain a huge amount of practical experience. Over 300 hours of paid work over summer are attributed to your degree. That will give you an advantage with potential employers. New Zealand’s economy is dominated by agriculture and food - it generates close to $37 billion in export earnings a year and international demand is predicted to continue to grow. Join the large group of Massey students that have secured jobs before they graduate. They have gone on to become leaders in the industry. Massey’s AgriCommerce programme aligns itself with agribusiness industries throughout the world - ensuring our graduates have the skills and industry knowledge employers want today, and in the future. There are a number of scholarships available for those planning to study AgriCommerce. I needed to find a new career to fit in with my young whanau and I always wanted to get my degree. Massey’s AgriCommerce degree fitted well with my love for farming the land and business. This degree has given me the additional knowledge I needed to pursue a career in any of the agribusiness sectors especially Māori Argibusiness. Helping my whanau is also important to me. My grandmother is a shareholder in Aohanga Incorporation, which owns Owahanga Station, a 7300 ha farm near Pongaroa in the Tararua district. Now with the skills and knowledge I have leant from this degree, I am able to provide more guidance to my nana about the farm, the value of the land and help them out. Now my goal is to become a registered property valuer focusing on rural properties. There is strong demand for agribusiness graduates who can communicate effectively with Māori organisations and individuals in the sector. From running large farm-based agribusinesses right through to international food trade, you will gain the business knowledge to help progress the future of New Zealand’s primary production sector in a Māori context. Whether you are part of a Māori business, or working with Māori communities and organisations, you will gain the skills to help develop the many opportunities in contemporary Māori agricultural-based organisations.